So, when is the Last Day of School for this year ? 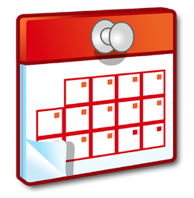 ** Remember, independent charters have the freedom to write their own calendars, so check with your school to learn their schedule. This entry was posted in GoMamaGuidance, Public School and tagged CCUSD Calendar, last day of school, LAUSD Calendar, School Schedule, Spring Break dates, SSMUSD Calendar, When is Spring Break by gomama. Bookmark the permalink. Thanks for finally talking about >When is Spring Break?